40+ Style » What to buy » The best shops on Etsy for contemporary jewelry – Perfect for gifts this season! 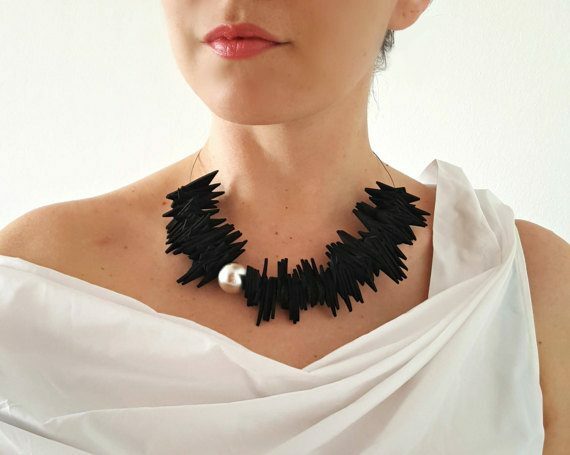 The best shops on Etsy for contemporary jewelry – Perfect for gifts this season! I love contemporary jewelry. Especially those created by independent designers. One of the best places to find all these unique designers is on Etsy. 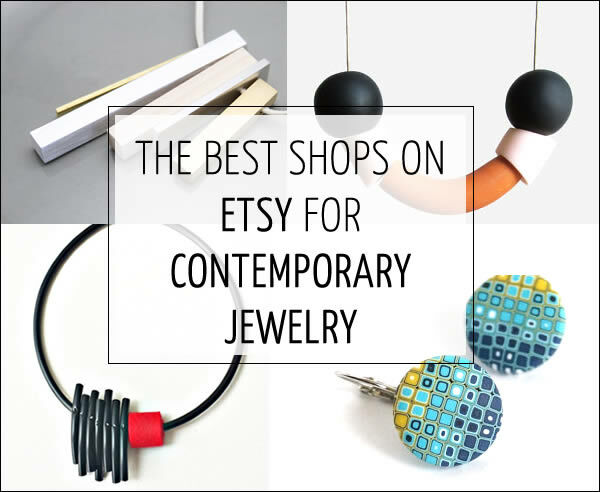 Here is a list of some of the best shops and designers I found on Etsy for contemporary jewelry. Unique handmade accessories like flower brooches, braided bracelets and necklaces. 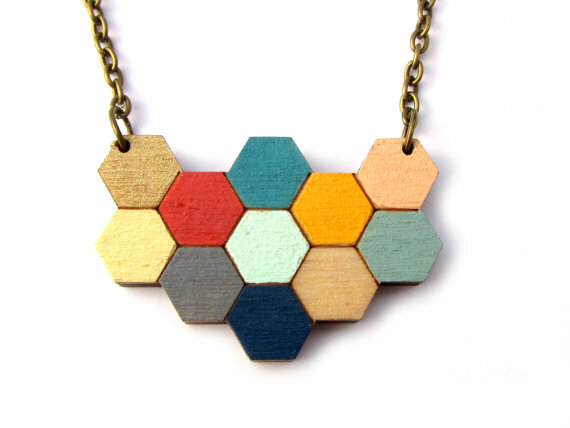 I love my clay necklace from Floti, seen here and here and I’m tempted to get more color combinations. The jewelry in this store simple, geometric and super effective at adding that pop of color and bit of hipness to any outfit. Great colorful jewelry in interesting shapes. Minimalist, industrial and sculptural jewelry. I love the interplay of the different materials. 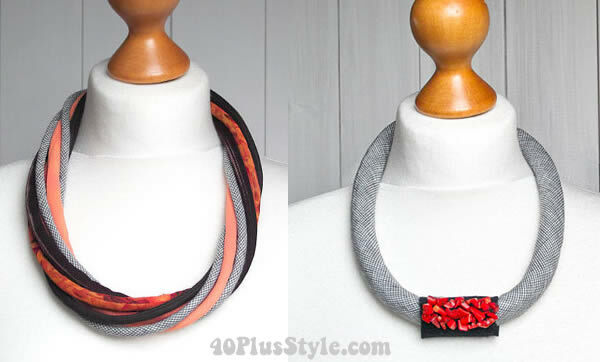 These fabric necklaces are perfect for adding some extra color to your outfits. Here is how I wore it. Very arty jewelry using a variety of materials that will add a arty vibe to your looks. 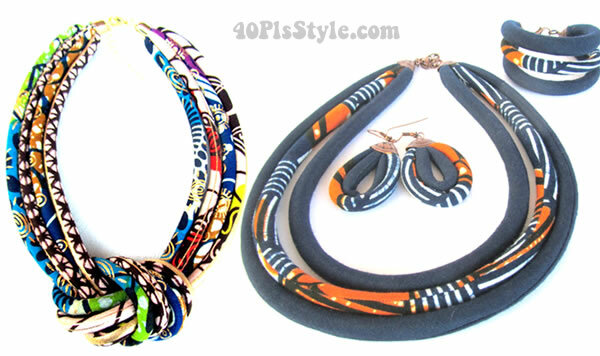 Handmade African inspired jewelry made mostly from African fabrics and West African recycled glass beads. 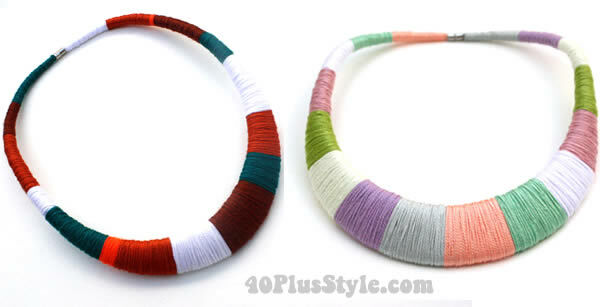 These necklaces are prefect to add a pop of color to your outfit. I’m sure that there are many more fantastic designers there that I have not yet discovered, so please let me know your favorites on Etsy! Going to Etsy for finding jewellery or bags, or belts … it is like going down a rabbit hole for me. I spend hours and hours on it and start buying all sorts. Your examples are so tempting, but I have to be firm and not go there. Next post: #40plusstyle inspiration: shop 11 of my favorite casual looks!